The PIPE Parent Handouts Notebook. 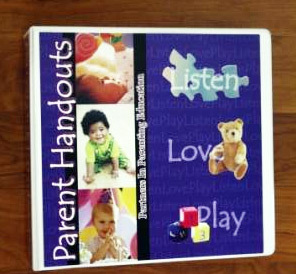 The Parent Handouts Notebook provide information pages, handouts, and worksheets developed specifically for each topic to enhance the parent – child relationship. 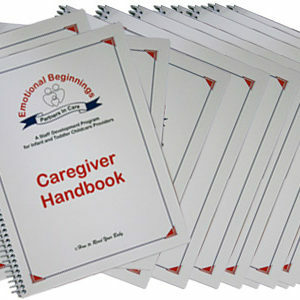 Each topic’s instructional plan refers the parenting educator to the appropriate parent handout(s). 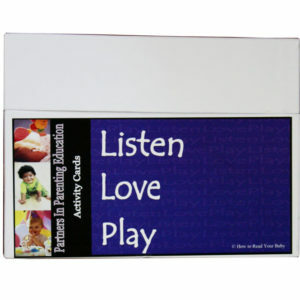 The handouts are appropriate for parents with a variety of literacy skills. 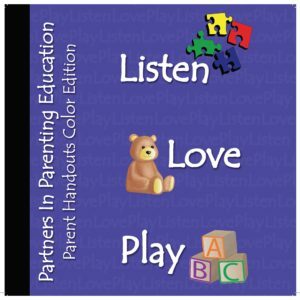 Parenting educators will be able to choose the parent handouts that best meet their clients’ needs. It recommended that no more the four parenting educators share a PIPE Parent Handout Notebook. Educators are granted permission to make copies of the handouts and worksheets in the PIPE Parent Handouts Notebook for distribution to the parent receiving PIPE instruction only. Making copies for distribution among colleagues and co-workers is not permitted. Do you have the updated Spanish parent handouts in color? It looks like the ones to purchase are just in black and white. The Color Spanish Parent Handouts are projected to be available in mid to late 2019. We will keep you Posted.